Warning: Please be advised that a company named Nagritech (Dublin Ireland) is fraudulently representing our company and our products. This is not an authorized company of our patented and registered trademarks. 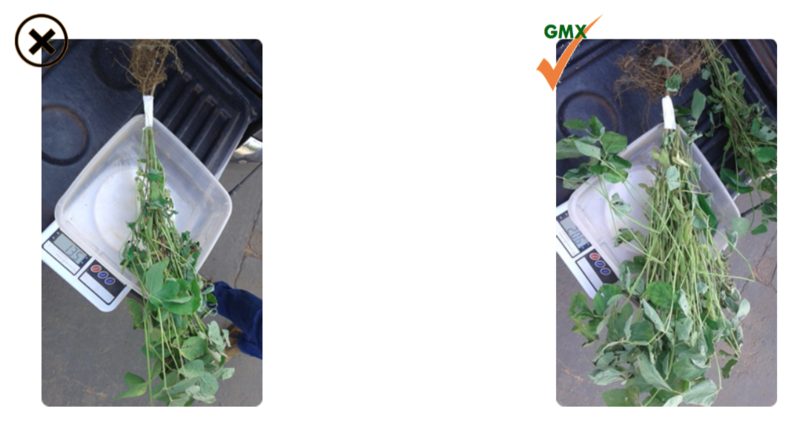 Greenamax and Agronamax are sole property of GMX Technologies/KGS Agro Group. Annual yield growth has remained a challenge for decades and climate volatility is projected to further slow and cause negative yield change in many large producing regions. KGS/GMX Technology can reverse this and brings a generation of yield increases in a single season. KGS/GMX has over 1000+ global field trials including independent research institutions and agricultural universities. These have widely demonstrated across crops, climates, farm size, and cultural practices that KGS/GMX technology can consistently provide a major productivity boost averaging 20%+. KGS/GMX has been vetted by some of the largest commercial farms in Brazil. Trials have also been conducted with major NGOs including the Clinton Global Initiative and the government of Rwanda’s Agriculture Department in Africa. Our work in Africa and India have produced even greater results on average from 20% to even greater than 50% increases in cotton, soybean, maize and vegetables. Traditional farming practices employ heavy application rates of chemical fertilizers, which are damaging the soil, polluting ground water, and harming the atmosphere at an unprecedented rate. Through ten years of advanced biosciences research and development, and hundreds of field test results in major global markets with farmers and universities, KGS/GMX has developed a revolutionary sustainable agriculture technology. This technology can greatly reduce the need for chemical fertilizers while boosting yields naturally. KGS/GMX Technology cleans the polluted soil by using less fertilizers that has become stressed and contaminated. 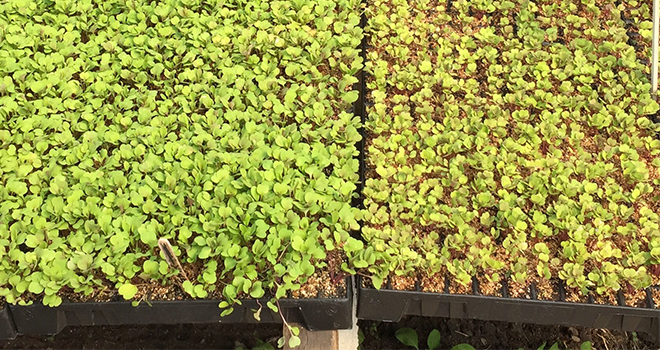 This establishes a supportive growing environment, allowing the treated soil to produce healthy and higher yielding crops. 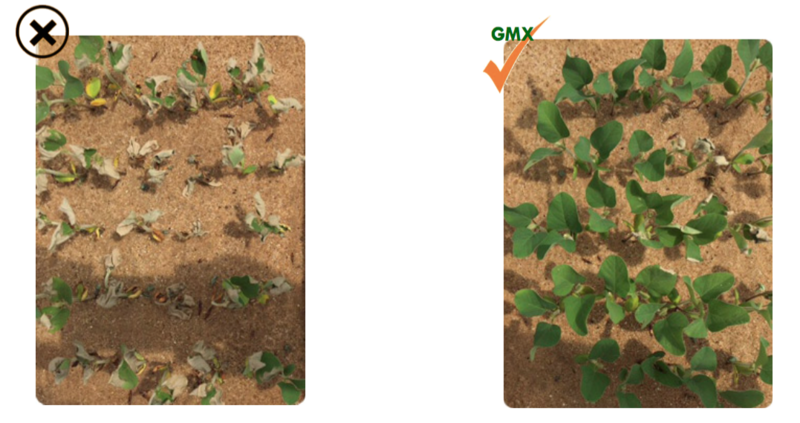 KGS/GMX Technology improves soil retention of Nitrogen, resulting in large input cost savings of upto 30%+ reduced fertilizer consumption. 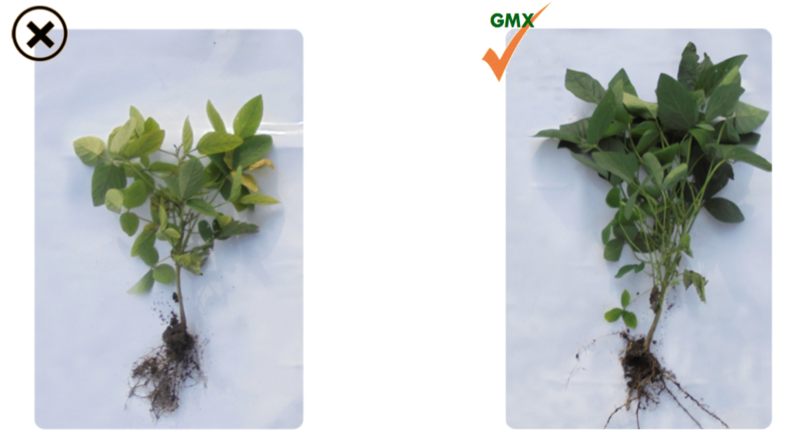 KGS/GMX Technology also develops roots faster, leading to better plant establishment and nutrient and water intake, resulting in 20%+ increased crop yields. 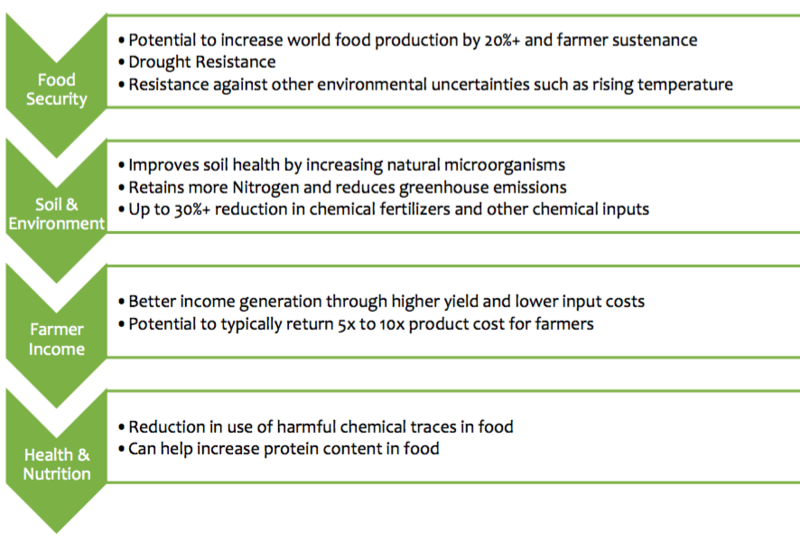 Total farm profitability can increase 100%+. 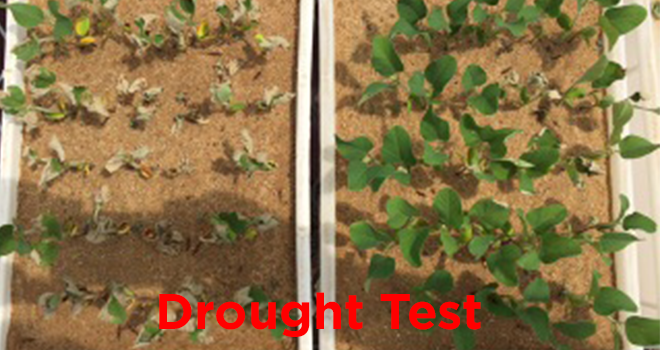 This last image was a test conducted in drought conditions!